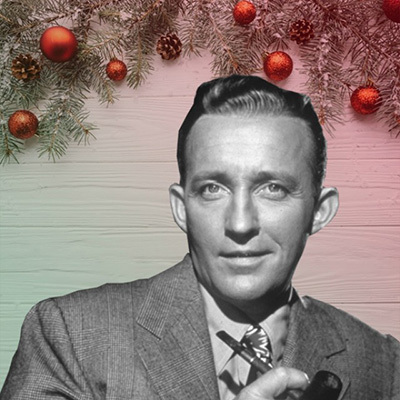 The 13th Annual Bing Crosby Holiday Film Festival is this Saturday, December 8 at the Bing Crosby Theater, featuring some of the best loved films of Spokane's own Bing Crosby. Movies run all day, starting with an 11:30am showing of 'White Christmas,' followed by 'Pennies from Heaven,' 'Road to Zanzibar,' Howard Crosby and Hot Club, and another showing of 'White Christmas' at 8pm. Cost is $10 and is good for the entire day's events. Tickets available at the door only. Children age 12 and under will be admitted free. 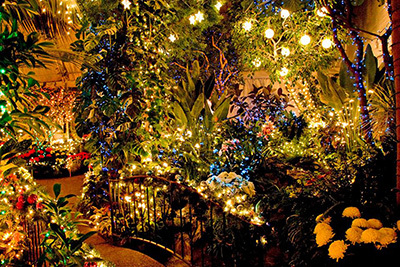 Each December, Parks Greenhouse staff decorate the Gaiser Conservatory with a beautiful display of over 30,000 holiday lights that are free and open to the public to view. The best viewing times begin a 4pm and goes until 7:30pm. During that time, the street around the conservatory is for pedestrians only. Bus parking is off of Tekoa Street. The Gaiser Conservatory is located at 4 W 21st Street inside Manito Park. Hours for viewing the holiday lights are Friday, December 7 through Sunday, December 16, from 12noon-7:30pm. From December 17-31, hours are noon-3:30pm, closed on Christmas Day. Enjoy KXLY's lighting display in cowley park, specially located in Cowley Park, next to the Sacred Heart Children's Hospital. This amazing holiday lights display is assisted by WinterGlow and is on display through January 3, 2019. There's a lot happening at Arbor Crest this weekend at Arbor Crest. This Friday, December 7, Dan Conrad will perform his blend of pop/country/rock as part of the Fireside Music Series, music runs from 5:30-7:30. 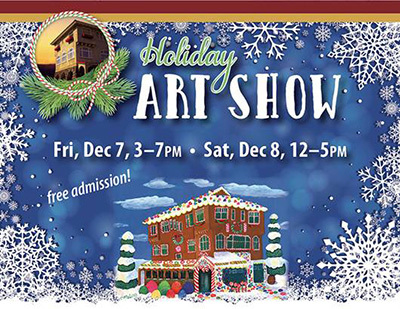 Also this Friday and Saturday is the Arbor Crest Holiday Art Show, which runs on Friday from 3-7pm and Saturday from noon-5pm. This art show will feature 17 specially selected artisans. Admission is free. 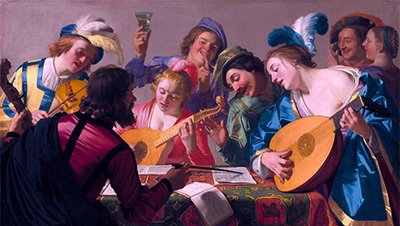 The best-loved works of the Baroque period kick-off the Christmas spirit. A festive evening of Bach, Vivaldi and more set in the splendor of Spokane area churches. Eckart Preu conducts, with Mateusz Wolski on Violin, and features the Spokane Symphony Corale. Performances are Saturday, December 8, 7pm at Westminster Congregational United Church of Christ, and Sunday, December 9, 3pm at Spokane Valley Church of the Nazarene. Tickets available at the Box Office of Martin Woldson Theater at The Fox, or by calling 509-624-1200, or at www.ticketswest.com or 800-325-SEAT. The fifth annual 'Cup of Joy,' show opens, from 5-8pm this Friday, December 7 at the Trackside Gallery, 115 South Adams. It features over 125 one-of-a-kind cup forms, by 36 invited ceramic artists. Go to tracksidestudio.net for all the details. 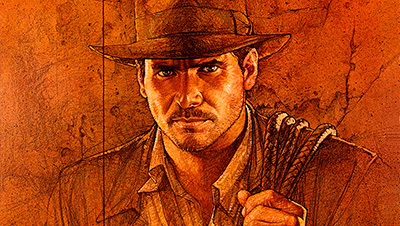 The film that gave the world one of its greatest movie heroes, Indiana Jones, is back and better than ever. Relive the magic on the silver screen with the original great adventure...'Raiders of the Lost Ark'...with John Williams' epic score performed live to the picture by the Spokane Symphony. This special performance will be at the Martin Woldson Theater at the Fox on Saturday, March 16, 2019 at 8pm. Tickets go on sale this Thursday, December 6, and are available at the Box Office, or by calling 509-624-1200, or at www.ticketswest.com or 800-325-SEAT. 'It's a Wonderful Life,' a live radio drama, is playing at 7pm, Tuesdays and Wednesdays, through December 19 at the Coeur d'Alene Inn, 506 W. Appleway Avenue, off I-90 and Hwy 95. Go to lauralittletheatricals.com for more information. 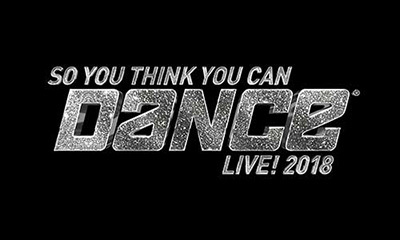 Fans can witness the hottest show-stopping routines from Season 15 as well as original pieces choreographed specifically for So You Think You Can Dance Live! 2018. Performance is this Sunday, December 9 at 6:30 pm. 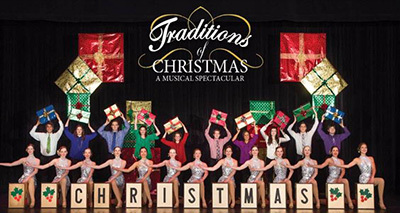 Traditions of Christmas is a Radio City Music Hall style show that inspires the hearts of audience members of all ages. Throughout the show, your favorite Christmas classics are brought to life with song and dance. This production features a cast of 70 people, spectacular sets, and over 400 costumes. Performances begin this Friday, December 7 and run through Sunday, December 23. The Kroc Center is located at 1765 W. Golf Course Road in Coeur d'Alene. For more information and tickets, visit www.traditionsofchristmasnw.com or call 208-763-0681. 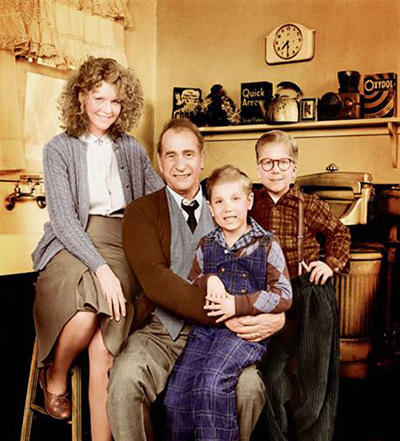 There will be a special showing of the holiday classic, 'A Christmas Story' at the Garland Theater on Tuesday, December 11 at 7:15pm. This holiday favorite, set in the 1940s, about a young boy named Ralphie, who attempts to convince his parents, his teacher and Santa that a Red Ryder BB gun really is the perfect Christmas gift. Admission is $2.50. The film is rated PG. For more information, visit garlandtheater.com.